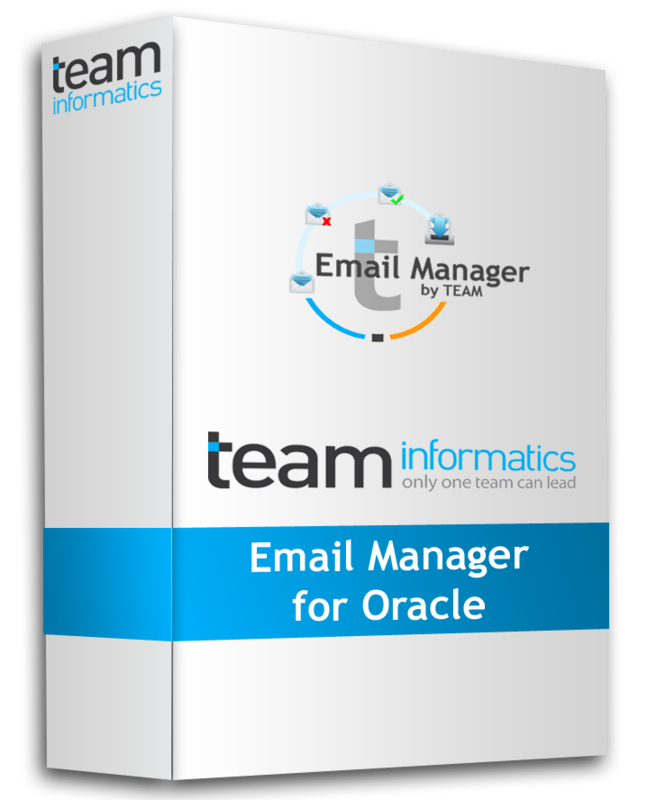 TEAM is ecstatic about the release of our new product “Email Manager for Oracle” and so are many of our customers. The buzz behind the product is its ability to aid in protecting your company and minimize your legal costs and concerns. Gartner Research states that “an effective email management policy is essential for organizations in today’s litigious environment.” Is your organization prepared? Are you an Oracle customer who has questions about the best way to properly manage email? Do you have a plan to contain your eDiscovery costs? TEAM has put together a web seminar to present and demonstrate the capabilities of our Email Manager for Oracle. Protect your company and minimize your legal costs and concerns by utilizing TEAM’s Email Manager for Oracle. Register today! This entry was posted on Friday, April 13th, 2012 at 1:38 pm and is filed under Oracle. You can follow any responses to this entry through the RSS 2.0 feed. You can leave a response, or trackback from your own site.